The lab’s research is driven by the underlying goal of understanding the presence and preservation of biosignatures within planetary environments. We’re also involved in the implementation of planetary exploration, analyzing data from current spacecraft and devising new techniques for future missions. Read more about our projects below! As we search for life on other worlds, the idea of “life as we don’t know it” presents a formidable challenge. As we proceed deeper into the solar system, the chance that life shares a common ancestor with Earth diminishes. Particularly on non-water worlds like Titan, the molecular and polymeric building blocks of life may be vastly different from Earth. Our newest initiative, NASA’s Laboratory for Agnostic Biosignatures (LAB) project, is a multimillion dollar effort to develop new life detection methods that don’t presuppose any underlying biochemistry, such as chemical complexity, disequilibrium, compartmentalization, and energy transfer. Read more about that effort here! We are also involved with NASA’s newly formed Network for Life Detection, a research coordination network focused on developing technologies and techniques for life detection on other worlds. Our group is part of the Science Team for NASA’s Curiosity Rover, the fourth in a string of robotic spacecraft to explore the surface of Mars. 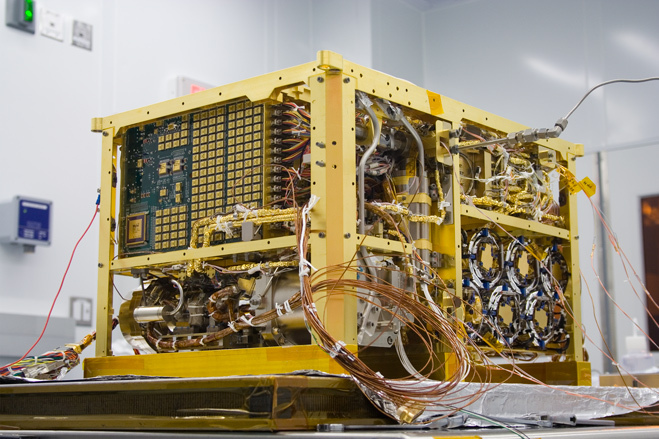 A key instrument—Sample Analysis at Mars, or SAM—contains a pyro-GC-MS operated by our close collaborators in the Planetary Environments Lab at NASA’s Goddard Space Flight Center. Our lab is being funded by NASA to investigate how detections of organic molecules in Mars analog environments—places on Earth that bear striking similarities to Mars in terms of geology and mineralogy—can be used to interpret the results from SAM and to make tactical recommendations. Read more about SAM’s wet chemistry work in Maeva’s April 18th blog post here, and about the Vera Rubin Ridge campaign here! We still know little about what survival strategies cells utilize in extremely harsh conditions, when pushed to their very limit. 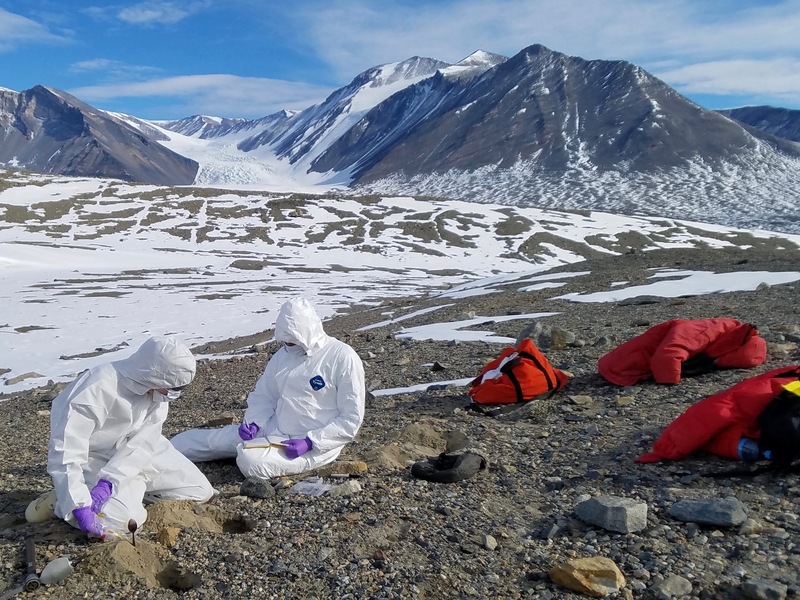 Building on previous work (link), we have been exploring how microbes survive in one of the most Mars-like places on Earth, the Dry Valleys of Antarctica. Like Mars, the Dry Valleys were once warm and wet, then slowly froze and desiccated. Using a new technique to study DNA repair, our NSF-supported project is investigating whether Antarctic paleolakes harbor “microbial seed banks,” or caches of viable microbes adapted to past environments. 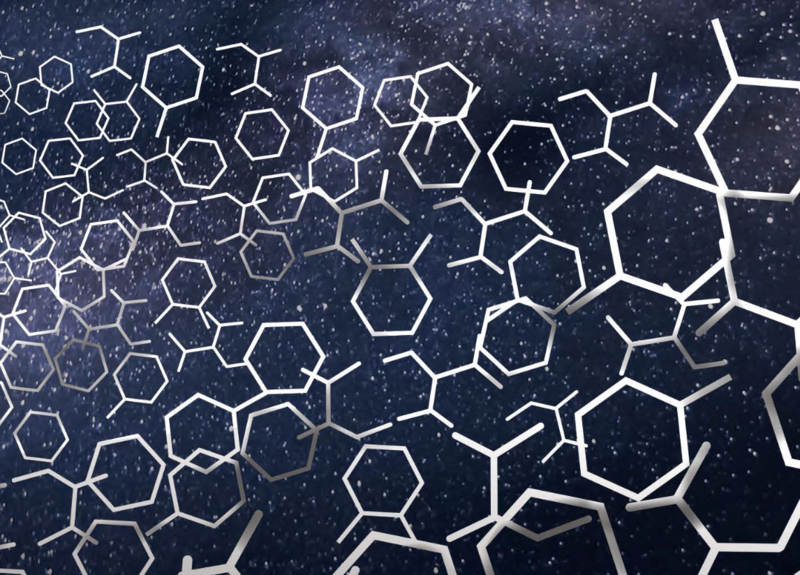 Findings stand to illuminate novel DNA repair pathways with possible biomedical applications while simultaneously refining life detection strategies for Mars. We’ve also been recently funded as part of a NASA grant led by Dale Andersen to expand our Antarctic work to Lake Untersee in Queen Maud Land (for a sense of this otherworldly place, you can see some amazing footage here). The lab is also working to better understanding how biology affects patterns of mineralization in Mars analog sites, each with distinctive features that offer insights into what aqueous environments may have been like on the Red Planet a few billion years ago. 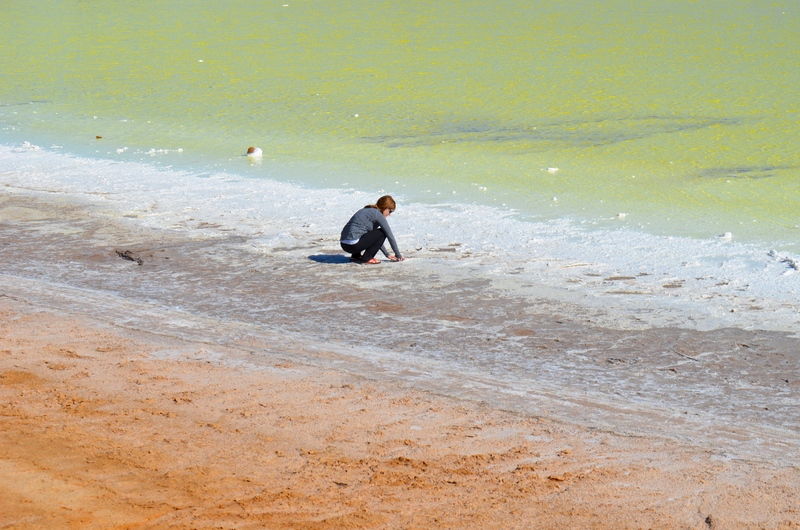 For instance, desiccating acid salt lakes host some of the most geochemical extreme waters on Earth. A recent metagenomic investigation at our field site in Western Australia has illuminated the possibility that we may be meaningfully underestimating the effects of biology on local geochemistry and mineral stability fields in sulfur-rich sediments (link). We have also been studying whether entrapment in fluid inclusions within minerals could increase long term cell survival (link). Similar work is underway at silica sinters, where early biosignatures and prebiotic chemistry may be preserved, as well as basaltic lava tubes, which may serve as near-surface refugia for life on Mars today. In the last couple of years, rapid advances in miniaturization have revolutionized the possibilities for lightweight, low-power sequencers. In Antarctica, we recently demonstrated as a proof of principle that nanopore sequencing could be carried out in a remote field environment (link). We’ve been continuing to work on how we can prepare samples and analyze data in the field in places like the Atacama Desert and Iceland, as well as probing the limits of what protein nanopores can withstand in the space environment. 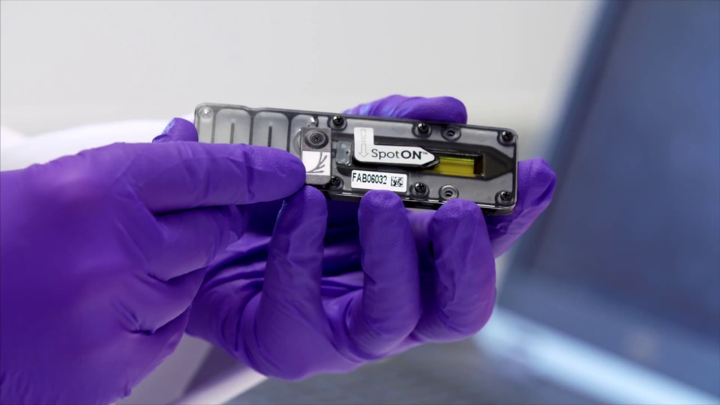 An exciting new approach that the lab has been working on in collaboration with colleagues at the University of Texas at Austin and NASA’s Goddard Space Flight Center is using sequencing not only to look for nucleic acid-based life and monitor contamination, but also as a tool for detecting life regardless of its underlying biochemistry (link). Read more about that effort here!